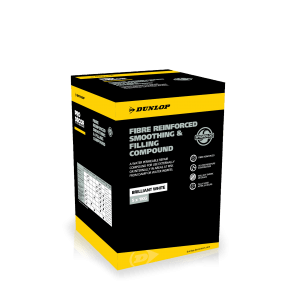 Featuring Dunlop’s revolutionary Hydroloc drying technology, Dunlop Pro Decor Fibre Reinforced Smoothing & Filling Compound is a versatile filling and smoothing compound for both internal and external repairs. Brilliant white when dry, Fibre Reinforced Smoothing and Filling Compound can be used for the filling of cavities, holes, grooves and the patching of facades before applying paints and renders. 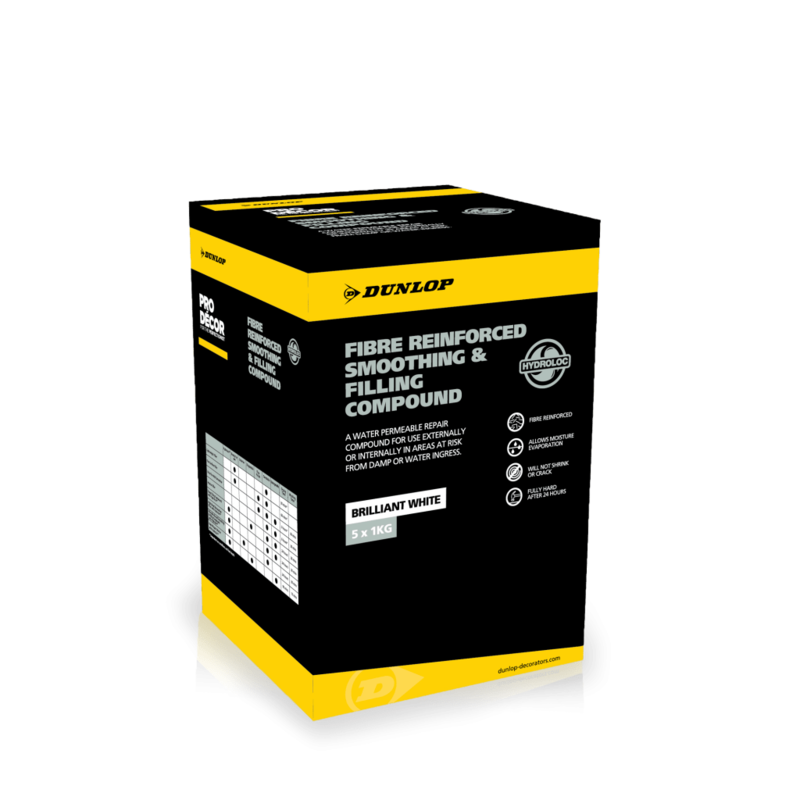 What’s more, because its fibre reinforced it can be used to repair internal areas at risk from damp or water ingress. Thanks to Hydroloc, which helps the product dry evenly throughout, it allows moisture evaporation and is paintable in only two hours. Suitable up to 20mm thickness, it does not crack or shrink and is available in 5kg packs.